According to an announcement by World Bank, China has made the biggest progress in the Asia Pacific region in terms of making its regulatory environment more business-friendly. However, there are still many hurdles for foreign companies which intend to do business there. 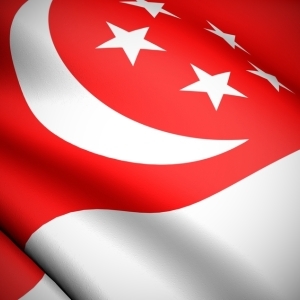 According to the Guide on Doing Business in Singapore vs. China, published by Singapore company incorporation specialist Rikvin, entering the market via a Singapore entity may be the best way forward. The Guide analyses two main points i.e. the difference between the process of incorporating a company in China against that in Singapore as well as the tax treatments of a Singapore company and a Wholly Foreign Owned Enterprise (WFOE) in China. Hence, the guide was created to help entrepreneurs determine how best to do business in China. Analysis by Rikvin showed that while a company may typically be incorporated in less than 1 day in Singapore, the process is much longer in China. In China, the incorporation process is complex, involves many government authorities and may take anywhere between 3 and 6 months. In addition, a Singapore entity benefits from over 70 Avoidance of Double Taxation Agreements (DTAs) and Free Trade Agreements (FTAs) that Singapore has concluded with partner countries including China. These agreements set the stage for smoother business relations between partnering countries. China is a rapidly growing market which offers significant opportunities for many companies. However, incorporating a company in China may not be feasible for many SMEs. By having a base in Singapore and then entering the appropriate agreements with China-based companies, many businesses can enjoy the best of both countries. On top of that, Singapore incorporated firms benefit from a partial or full tax exemption scheme for new start-up companies (SUTE) as well as tax exemption on foreign-sourced dividends, foreign branch profits and foreign-sourced service income under section 13(8) of the Income Tax Act. “This route not only saves time and money, but allows one to form business contacts with many Chinese firms that are already based in Singapore. In addition, Singapore offers a very attractive business environment, economic freedom, global competitiveness and openness to trade,” affirmed Mr. Bakhda.